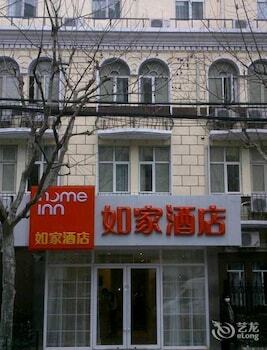 Located in Shanghai (Downtown Shanghai), Home Inn is within a 15-minute walk of The Bund and Nanjing Road Shopping District. Featured amenities include luggage storage and an elevator (lift). You'll be in Honghe (Mile) with a stay at Nanyan Hotel. Featured amenities include dry cleaning/laundry services and luggage storage. Free self parking is available onsite. With a stay at Dongshan Hotel in Dongguan, you'll be 18.5 mi (29.7 km) from OCT East and 3.9 mi (6.3 km) from Bao an Stadium. Free self parking is available onsite. With a stay at Qingdao Yihaiyuan Hotel in Qingdao (Laoshan), you'll be within a 10-minute drive of Qingdao Shilaoren Bathing Beach and Qingdao Museum. Free self parking is available onsite.